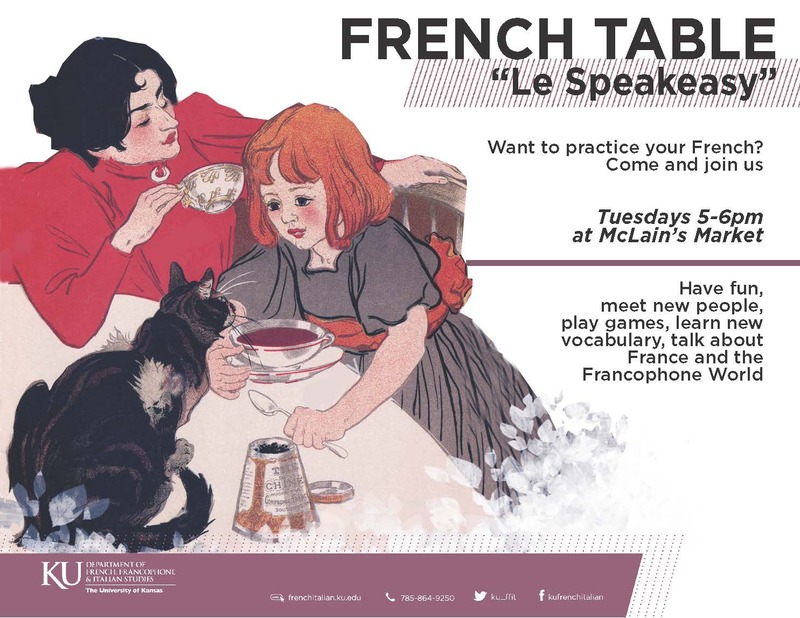 Le Speakeasy is a weekly gathering for anyone interested in speaking or listening to French in a relaxed atmosphere. 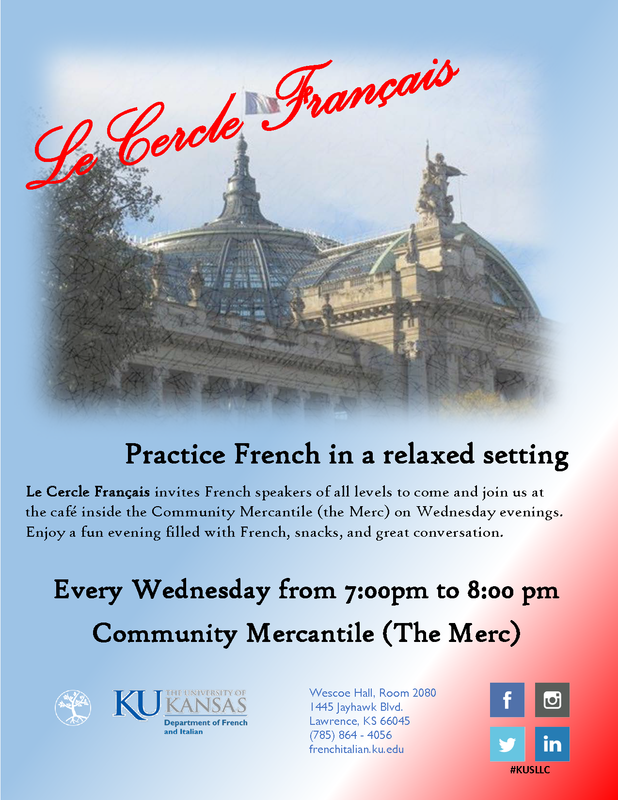 Whether you are a current student of French or studied French in the past, whether your proficiency in the language is at the beginning or at the advanced level, whether you are a native or just love to speak and listen to French ... you are welcome! 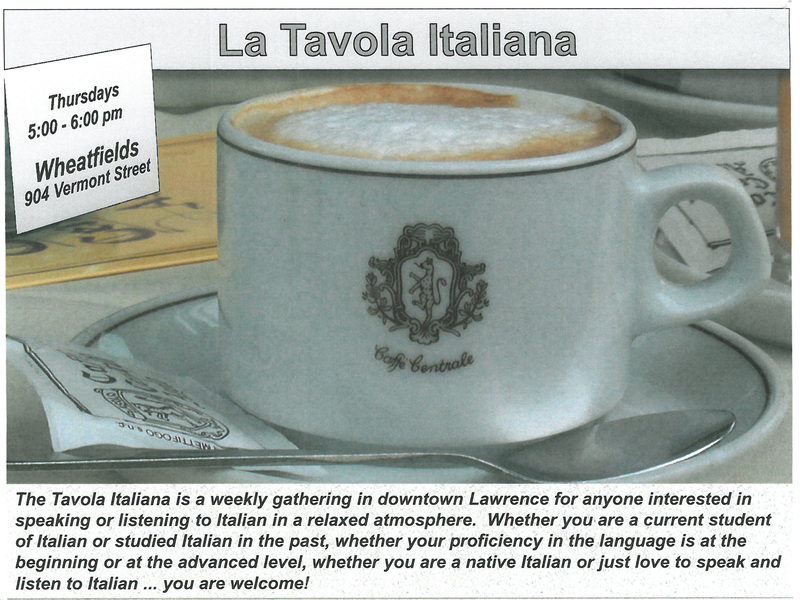 La Tavola Italiana is a weekly gathering in downtown Lawrence for anyone interested in speaking or listening to Italian in a relaxed atmosphere. 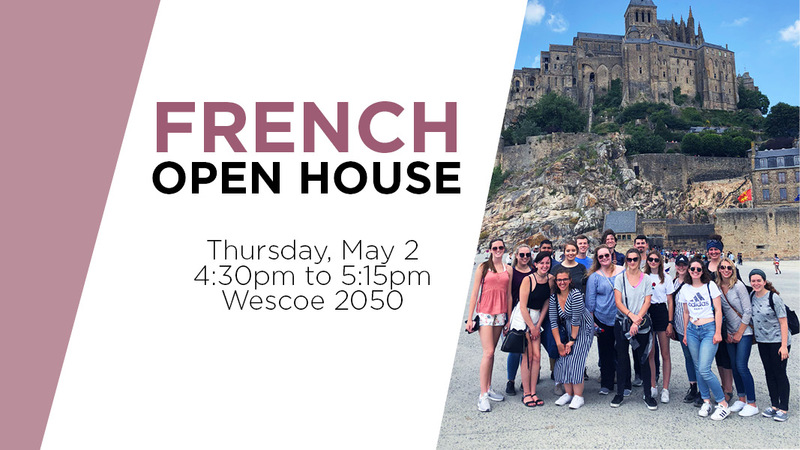 Whether you are a current student of Italian or studied Italian in the past, whether your proficiency in the language is at the beginning or at the advanced level, whether you are a native Italian or just love to speak and listen to Italian ... you are welcome! The Italian Club is a student organization whose purpose is to promote Italian culture at the University of Kansas through various activities throughout the year. Activities organized by the club in past years include: gatherings at downtown cafés for cappuccino or espresso, lectures on various aspects of Italian culture, viewings of Italian movies, museum visits, wine and cheese parties, evenings at the opera, Carnevale (Fat Tuesday) parties, pot luck dinners, cooking demonstrations, dinners at Italian restaurants, and more!